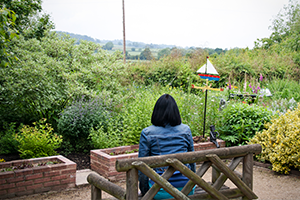 This website has been developed following feedback from parents of young people who attended the Rainbows Hospice for Children and Young People, and faced real challenges around continued decision-making for their children once they reached adulthood. As a result, monies from the NHS England Mental Capacity Act (MCA) Improvement Programme provided the funding to support a workshop for parents and carers of young people from across the East Midlands who had entered adulthood never having the capacity to make their own decisions. The funding also helped to support the development of this website – a tool aimed to support parents so that they better understand their rights and options in decision-making as they continue to love and care for their adult child. The website has been developed through collaboration with young people and parents and carers from across the East and West Midlands, NHS England, Leicester City CCG, East Leicestershire and Rutland CCG, West Leicestershire CCG, Browne-Jacobson Solicitors, Rainbows Hospice for Children and Young People, Together for Short Lives and Murray Hall Community Trust. Anyone caring for a person aged 16 or over who cannot make some decisions for themselves, and who needs support from health or social care. Being unable to make a particular decision for yourself is known as ‘lack of mental capacity’. Parents and carers in contact with Rainbows Hospice Loughborough and Together for Short Lives told us about the difficulties they experienced when their child, who lacks mental capacity for some or all decisions, became age 16 and required support from health services or social care. This is because at the age of 16 there is a change in the legal framework from the way decisions are dealt with for small children (almost always entirely in the hands of those with parental responsibility) to the framework for adults set out in the Mental Capacity Act 2005, which applies to anyone over 16. The law also recognises a period of transition in which a child may become more able to make decisions for themselves. But in cases where a child will not have capacity as an adult, the change in the legal framework at age 16 can feel arbitrary and abrupt and can cause problems, especially if it comes as a surprise. Parents and carers supporting this website wanted others to know that it is best not to wait until you child turns 16 before you begin to consider how the Mental Capacity Act 2005 affects you and your child when health and social care is required.